Come along to our QUT showcase this Sunday to meet Clinton from Obelisk Systems and his fabulous robots! Clinton and his team make a coding and robotics platform that lets teachers draw on the knowledge and experience they have gained through study and experience as engineers. 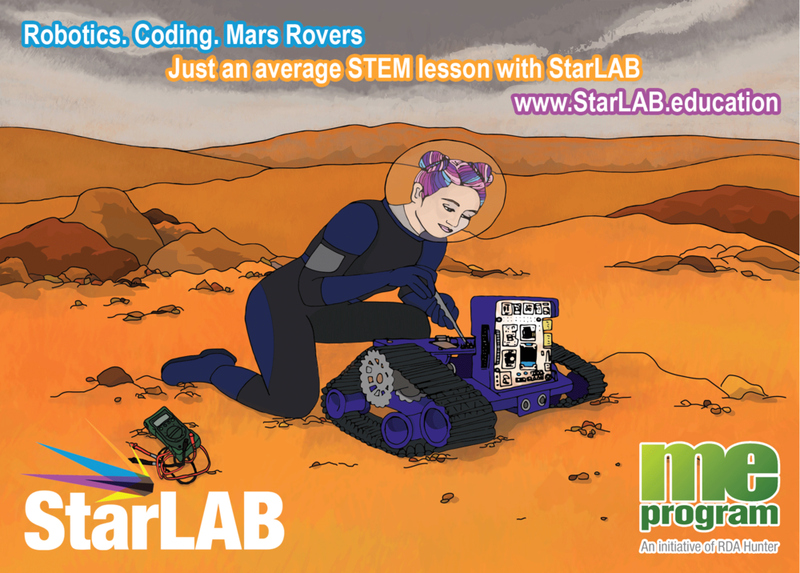 StarLAB is their all in one STEM coding and robotics platform that allows teachers of any technical skill level teach students how to use code to interact with the real world and learn some physics and maths along the way. Every time Clinton mentions that he love maths, he usually gets some pretty odd looks from the people around him. Sometimes they will even tell him with pride that they “did not have the right brain for maths’ or “you don’t need math, when would I ever solve for X?”. The truth is that he was once one of those people. It was not until he started to study Engineering that he began to see the beauty of mathematics and how useful it is in his everyday life. It is a very rare day when he's not scribbling some equation down to find some unknown value. He says he wasted a lot of his life thinking he hated maths because he was never given the context, and this is why he now loves what they are doing at Obelisk Systems so much. They work together with the Me Program in the regional NSW to make resources that not only give students, but also teachers, a fun way to learn coding and make cool robots but also gives them the STEM skills in a context that is fun and useful. The process for making this platform, like any good systems in computer engineering, by making smaller parts that work together to an experience that is fun, educational, and will innovate your own solutions. The first “Block” in the StarLAB system is the sensor platform, this small piece of hardware has a lot of different ways in which it can see the world. We have taken the hard work out of wiring up these sensors so now all you need to do is write a single line of Python or drag a scratch block in and you can be getting real data from one of the sensors or camera and using it in your code. The next part of our program is the online learning platform, for this, they needed to call in some help. They are very good engineers, but they knew very little about teaching. So they called in our TGM partner Dr Scott Sleap in the Me Program, to help develop a program that went beyond just code, but that will teach you physics and maths as well. To make these lessons even better they recorded videos that will take you through all the science and for the teachers we have made a lesson plan that maps the iSTEM curriculum outcomes (and the National Digital Technologies Curriculum). Next is teacher training. The hardest part of any new thing is taking the first step so they now offer training so you can have them come and help you take that first step. They will show you how to setup your StarLAB, get started with coding in scratch and python, using StarLAB as a data logger, and help you come up with ways that you can integrate StarLAB and coding into may cross curricular activities.